Originally published in Becker’s Hospital Review. 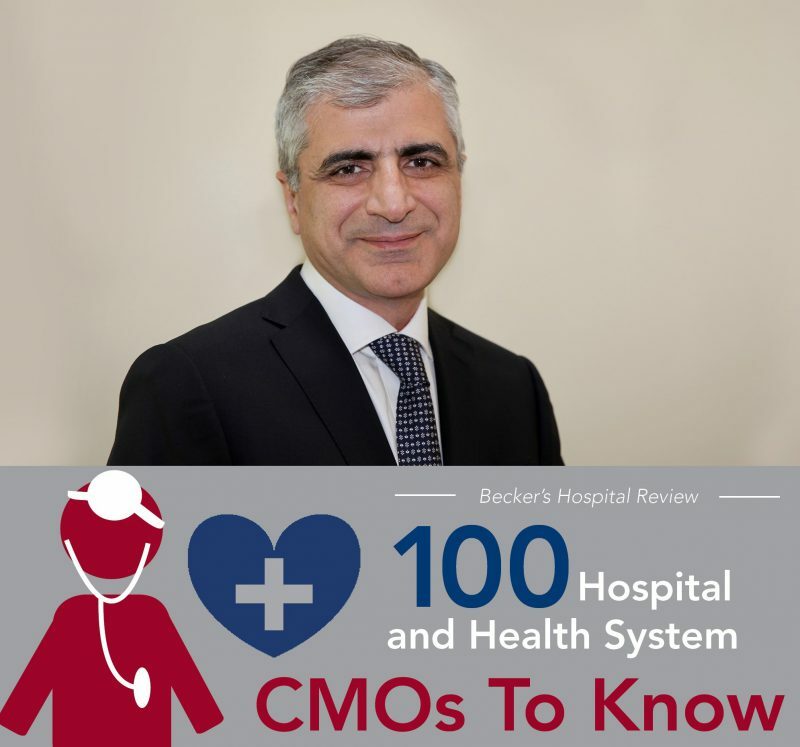 Our very own Chief Medical Officer (CMO), Ghassan Jamaleddine, M.D., was recognized in Becker’s Hospital Review (BHR), “2018 Hospital & Health System CMOs to Know.” This list features national physician leaders dedicated to strengthening their organizations through physician leadership development, patient safety initiatives and quality improvement. According to BHR, the physicians recognized are proven leaders in the field with extensive clinical and team building experience. Many have held executive leadership positions at multiple hospitals and health systems, overseeing efforts to expand health IT, improve the patient experience and build an overall positive culture for their organizations.